We just celebrated International Week and Mr. Bowser sent us these quotes that we would like to share with you. "I honestly think the words from the students do the topic far better justice than my own. I would simply say that when I think of those 10 students representing 16 different nations I am humbled and awed by the amazing opportunity to teach and live in an environment that so naturally cultivates such a diverse population," Chris Bowser, Upper School History Teacher, speaking about one of his classes. "The reason I enjoy being in a place with such amazing diversity is that I get to be around people that share similar traditions, stories, and experiences with me." "The reason I love the diversity in my School is that I have the opportunity to contact different people. Therefore, I can easily know about different cultures and how they are different from my own culture." "I love the diversity of our School because it shows how several different ethnic groups can come together to learn effectively and become friends in a safe environment." "I love the diversity of my School because it's a way of meeting different cultures and learning about different countries without even living the campus." 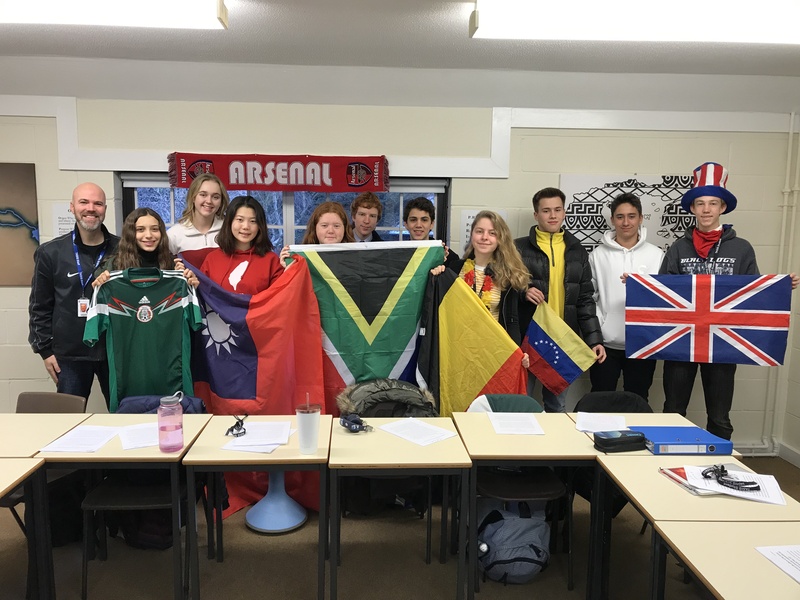 "The reason that I enjoy learning in such a diverse place is that we are able to learn everything any other school learns; however, we are lucky enough to get multiple different points of views and we get to learn about different cultures as we go." "I enjoy being in a diverse learning environment as it enables me to learn from the views and perspectives of many different cultures." "The reason I love diversity in my School is the access to learn about international cultures. People can be themselves and no one will judge because everyone has a different point of view and education in many ways."